Lighting a lamp at the doorway is auspicious. 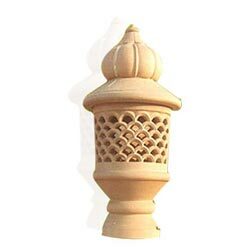 The beautiful stone lamps from our collection will enhance the aura along with the auspice. 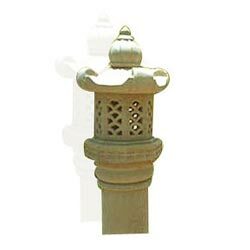 They can be installed as garden lamps, pavement lamps or indoor lamps as per the requirement. 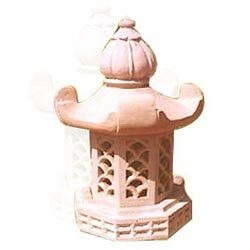 Decorate your entrance gates with this lamp creation. 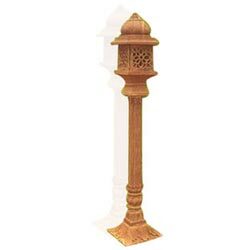 Few of these lamp-posts will enlighten and beautify your pavement. 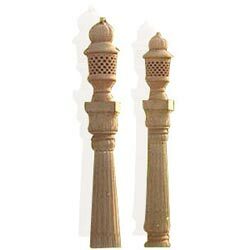 Dimension : 18.5" x 6"
Astonishing lamps along with columns add a delicacy to the décor of your house. A lamp design with polished surface will welcome entrants with an elegance. Enlighten your garden all around with these exquisitely worked lampposts.